While several factors suggest a gloomy outlook for production from the world's third-largest proven oil reserves, Canada's oilsands output is still expected to set new records in 2017 and climb even further in the coming years. The sell-off of Alberta oilsands assets by another big international player — along with big reserve writedowns, the introduction of a carbon tax and a stumbling crude price — all suggest a gloomy outlook for production from the world's third-largest proven oil reserves. But Canada's oilsands output is still expected to set new records in 2017 and climb even further in the coming years. Part of this year's boost would come from the Fort Hills project, expected to achieve first oil late this year and rise to 194,000 barrels per day through 2018. It is the last giant Canadian oilsands mine in advanced development by a major energy company. Additional production is coming from smaller thermal projects that use steam to recover heavy bitumen crude through wells, with about a dozen under construction or building toward full capacity. "It's hard to imagine a scenario where oilsands production would go down," says oilsands analyst Michael Dunn of GMP FirstEnergy. 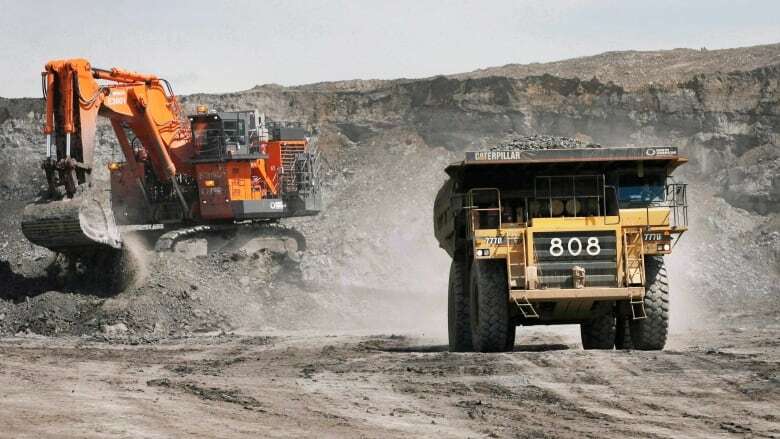 In its budget announced Thursday, the Alberta government forecasts oilsands output will rise from 2.5 million bpd in the 2016-17 fiscal year to 3.3 million bpd in 2019-20. Dunn says oilsands companies have dramatically cut operating costs per barrel over the last two years while oil prices have been low, and although it seems counterintuitive, one of the best ways to do that is by producing more barrels. That's why Canadian Natural Resources is buying most of Royal Dutch Shell's oilsands assets while continuing to grow production at its Horizon oilsands mining project, Dunn said. One thing no one worries about is availability of resource. The Alberta oilsands contain an estimated 1.8 trillion barrels of oil, about 168 billion barrels of which are considered recoverable using today's technology. At the end of last year, there were five oilsands mining operations and about 20 commercial thermal projects producing in Alberta. More than 70 other greenfield or expansion oilsands projects, both mining and drilling operations, are waiting in the wings after winning regulatory approval but not yet receiving investment decisions from their proponents. With production rising, pipeline capacity is expected to tighten over the next few years. That means more barrels will be placed in railcars until Enbridge Line 3 and Trans Mountain expansion, recently approved by the federal government, are built. A potential limit to growth, however, is the environmental impact of oilsands development. The Alberta government has set a 100-megatonne annual limit on emissions from the oilsands and the sector already emits about 70 per cent of that. New taxes on emissions are expected to increase over time. In an upcoming study, however, the Canadian Energy Research Institute says new technologies — including the use of solvents to produce bitumen through wells with little or no water and lower energy use — could allow overall oilsands production to continue growing. Growth in the oilsands isn't inevitable, however, said Charlie Kronick, a London-based Greenpeace campaigner. He said the oil industry assumes that it will always see higher prices, new pipelines, rising demand and favourable regulation. "Actually, those things have all changed significantly from 2008," he said. "A lot of those things are not just cyclical changes but have become structural." Shell sells out of the oilsands. Was it climate or costs?